The human resources (HR) function has seen many transformations over the years but the increasing use of artificial intelligence in the workplace presents challenges and opportunities to the profession. Artificial intelligence is accelerating rapidly and as the technology continues to influence the way certain departments inside the enterprise evolve, one thing remains constant: the most important components of a successful business is the employees. The human resources (HR) function has seen many transformations over the years but the increasing use of artificial intelligence in the workplace presents challenges and opportunities to the profession. Now, think back to the last time you had to interview a potential candidate. Perhaps it was in between important meetings, or when you were on a tight deadline for a project. Can you truly say that you gave the same amount of attention to each person you evaluated for the position? Paul D’Arcy, Senior Vice President of Indeed, the largest job website in the United States, presented a video on "How Unconscious Bias Can Impact the Hiring Process." In this interactive address he explores ways that employers can mitigate bias in their hiring processes; such as removing names, addresses, and even schooling from a resume to aid in the fight against bias. In many cases, this gives once overlooked candidates second chances, and businesses are benefiting from these fresh perspectives. But what about taking this a step further and incorporating conversational AI into the hiring process? Recent innovations in natural language technology offer huge advantages when it comes to incorporating AI into the field of human resources – with positive implications for all employees, both future and current. Due to the advancements in NLP (Natural Language Processing) and chatbot technology, implementing a conversational AI platform that enables your business to rapidly build a range of applications from chatbots to digital employees and mobile personal assistants in a single platform has never been easier. Deep analytics provide the backbone to deliver true machine learning and implicit personalization that enables greater understanding about an employee such as, their likes and preferences, and allows companies to receive real-time insight and feedback. 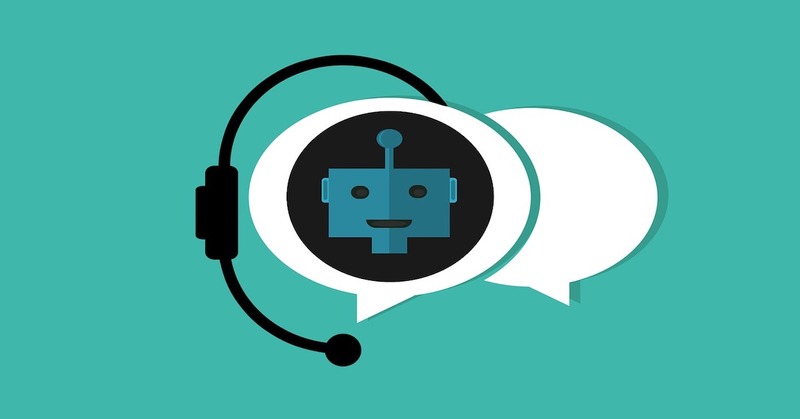 Regarding recruitment, conversational AI chatbots can easily screen an employee, helping to automate common questions and quickly process the response. Where previous innovations underwhelmed, new advances are allowing for breakthrough capabilities like further clarification of the question i.e. disambiguation or proactive dialogue. The entire procedure can be executed 24/7, allowing the candidate to engage whenever is easiest for them. This process also scales to manage the 300+ resumes an average job posting receives. Recently added capabilities that address the issue of GDPR and other data privacy legislation are set in place to protect personal information. This allows organizations to retain and use the bulk of the conversation and still derive value from the data, without compromising the individual’s privacy or the company’s compliance. The best part of conversational AI is that it has the ability to optimize the hiring process beyond just recruitment. For onboarding new employees, a self-serve chatbot would free up the HR department from repetitive tasks and allow them to focus on more complex issues. The same goes for training employee training. Instead of simply listening, a conversational assistant can be built out to answer questions, creating a more interactive experience for those that are newly hired. Lastly, when it comes to the internal affairs of a business or enterprise, questions such as company policies and benefits enrollment may be directed through a chatbot instead of an email to HR, streamlining the process and making efficient use of time and resources for all. However, unlike IT, HR has an immense number of legal boundaries. Artificial intelligence programs must work in tandem to assist and direct employees to the correct information tab on the internal website. As an added perk, things like annual self-assessments or reviews can also be carried out through intelligent chatbots. Yes, HR is a touchy subject, but it’s time to welcome it into the future. Addressing bias and task repetition will save both time and money for a future-oriented business. Furthermore, the incorporation of conversational AI can augment HR and bring about fundamental changes in businesses, freeing up teams to focus on culture and employee happiness, which in return will assist in leading to high-skilled worker retention.